I watched They Were 11 very early in my fandom, loved it and still do considerably, but it was To Terra… that solidified my interest in classic 70’s manga and the magnificent Showa 24. This is thanks to both the epic spanning story, a cast that stays with you long after the final page, and the beautiful artwork seen throughout. To Terra… is able to combine the strengths from shojo, Keiko Takemiya’s usual realm, and from shonen which To Terra was positioned as but it has so much to offer you can’t pin down To Terra… easily. To Terra… like many of the classics of science-fiction is not only a wonderful story that explores a possible future but is also complex sociopolitical examination of the present. The characters contained within examine ideas like eugenics, class struggle, environmentalism, discrimination, and safety vs. freedom. But unlike many of the characters with in the novel, it’s hard to place Keith Anyan into a neat box that says what role he plays. Solider Blue is the old mentor who passes down both his legacy and his unfulfilled dreams. Jomy is a reluctant leader that must awkwardly learn to fulfill his destiny. But Keith, he is at times a hero and at others an anti-hero; someone who defies and questions the system and yet is its greatest champion. I always see Keith as a combination of determination and fatalism. As he learns more about the origin of his birth, or rather his creation, as a flawless, genetically-manufactured follower of “Mother” he does not rebel no, instead he seems to dig his heels in and pursue the path laid before him even more stringently. In many ways, it feels as if he wants to prove the path is in fact his choosing. He honestly believes he has no other road to take, but in an incredibly logical sense as there is no other fruitful option for him. As he feels, he will either do this (what “Mother” has set before him) or he will cease to exist, and I doubt Keith’s ego would allow him the latter. The relationships (Sam, Shiroe, Makka) he participates in, I am hesitant to say builds especially when it comes to Makka, are hard to really define. However, each one’s subsequent death Keith interprets as the fault of the Mu without looking beyond at the reasons. Keith is in a lonely position throughout the series. He is held above the normal population by virtue of his special birth. He effortlessly excels at everything he does earning him a mixture of envy and admiration. He is detached from those around him partially because he is so exceptional and partially because he then goes out of his way to isolate himself. When people do connect with him it is always the other person who forces their relationship. Those with psychic powers that have evaded the maturity check seem especially drawn to him because he too is alone. This causes him to have a variable love/hate relationship with Shiroe and Makka where he never truly opens his heart and accepts either man for who they are but refuses to cut off ties with them as well. He also only truly appreciates his friendships with Sam, Shiroe, or Makka when they are gone in one way or another and it is too late. 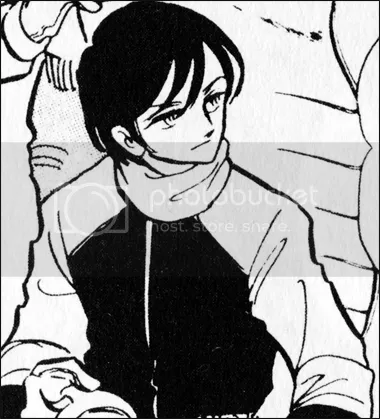 The parent/child relationship, most prominently that of mother and son, is of utmost importance throughout the series and exemplified through Keith. 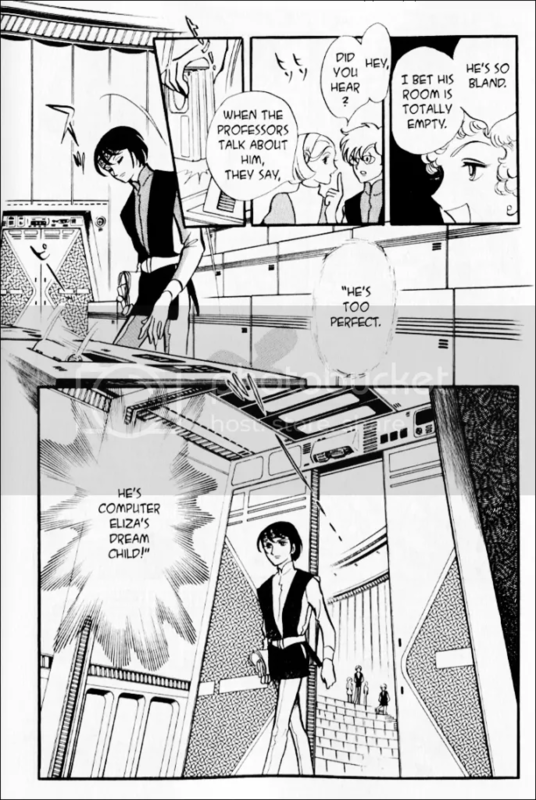 His attachment and inability to fully defy the mother computers of Terra is paramount to his willingness to continue down a path that he doesn’t fully grasp. He questions the computers at times about his birth and about the Mu’s genes, he even keeps Makka from his thoughts as to not have “Mother” detect his presence. Because Keith still believes he is in control of himself, he follows the path. But once “Mother” forces his hand against his conscious mind and is then destroyed, and made worse by revealing that she/it was not the central figure, Keith is free of all his previous destinies and deems his final act, destroying “Father” and with it Terra’s current state, truly of his own will. Keith is fascinating because he constantly questions the system and why things the way they are. His eyes are open and closed to the truth at the same time. People around him are shocked when a straight arrow like Keith will openly question or even complain about the Terra system. He is obviously aware of the flaws and contradictions within the system he works for. He meets and discovers Mu like Shiroe and Makka yet hides them from the system. In another manga any of these friendships or encounters might cause him to have a change of heart and ally himself with the Mu but Keith is determined to be a champion for “Grandmother” despite that everything he sees tells him there is something wrong. In a way, he is a man who keeps making the same mistakes again and again expecting a different outcome each time. Keith is always convinced though that it is for the best of everyone involved. Keith is not the first, nor will he be the last, character to look at his destiny, accept it, and then determinedly stay the course. Jomy does try to escape his fate in the beginning but is pulled in anyway. In so many ways it is a classic tale. In the end Keith too cannot be the perfect human that Terra wishes and as Jomy’s death inadvertently frees Keith he finishes the what Jomy started. Both Jomy and Keith are antagonists and protagonists, and in the end they both succeed at being heroes and villains. To Terra is full of rich characters and ideas, Keith is just one of the many stand out parts of the story. Obviously Japan was also fascinated by Keith Anyan. Just recently GFantasy ran To Terra… – Keith of the Blue Light a prequel to To Terra… all about Keith’s life prior to the events of the main story. The manga was made to tie into the anime adaption of the original manga that had started a month before but it is still a testament to the power of how such a complex character can capture a reader’s imagination. More than any other character is the series his layers drawn the reader in and make them question how we make decisions about ourselves and each other. “Crash Sayla Mass” is the creepiest thing ever. One thing I find fascinating about Keith Anyan is that even the way he doubts the system is indicative of his status as “Eliza’s Dream Child.” It’s like even his defiance is a product of the system.